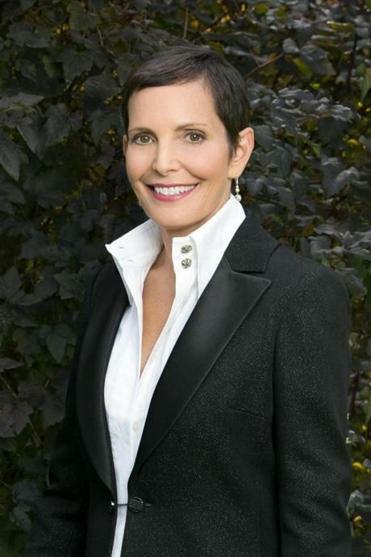 During Maureen Chiquet’s tenure at Chanel, she visited sociologist Martha Beck and equitation coach Koelle Simpson at a California ranch. There, high-powered executives like Chiquet worked on tasks that can rely more on intuition and presence than strategy and force, exercises that can be applied to running major companies and organizations. Chiquet, then the global CEO for Chanel, was able to coax a horse to follow her. Later, she brought some Chanel staffers along to attempt the same. Chiquet’s unique, intuition-driven leadership style is the subject of her new book, “Beyond the Label: Women, Leadership, and Success on Our Own Terms,” part memoir, part empowerment manual. The former fashion executive and St. Louis native urges readers to break workplace conventions, defy labels and stereotypes, and highlight a personal brand that can create a legacy. Chiquet’s lengthy and impressive career in fashion — spanning L’Oreal, the Gap, and eventually, Chanel, where she worked until January 2016 — is highlighted through workplace stories and characters who challenged and compelled her to maintain her integrity and be resilient. There’s a vivid chapter in the book that talks about your time as a teenager studying abroad in France. How did your love for the culture shape how you approached your career? My love affair with France started when I was 16 and completely enamored with the French. The French took in beauty. They savor it and appreciate it, and that allows them to drive decisions. I had no business experience and didn’t really know what marketing was [when I started in my career], but I knew the French connected imagery and emotion. It became a differentiating point in my career as a marketer, and then as a retailer, and then as a CEO. I was looking at a frame of emotions of whatever I’m seeing, imagery or products. It’s nice to hear the word “emotion” in such a positive way, because women are often criticized for being driven by “emotion” in workplaces. How did you make that work for you? In my own experience, consumers buy products through emotion. Both men and women use emotions when they want to purchase something. I think it’s something executives need not just to examine consumer behavior, but as a leader, when you’re putting forth visions. Especially today, when you think about connecting to millennials who care about ethics and social policy of companies. What was your intent with the book? There was something very intentional in [my] not providing a set of lessons or “how-to’s.” My story is different from your story or my readers’ stories. We all have our own journey. I like to tell my story and open myself up to being vulnerable with the questions I continue to ask myself and the observations I make. It’s an invitation for someone to explore and craft their own success. On the subject of being vulnerable, I know myself that there’s some shame around discussing parting ways with a job or career setbacks. How did you get comfortable with it? It was a long journey and process. It started when I had an [executive] coach [while at the Gap] and I was confronted with feedback on my leadership and management style. As hard as it was to hear, the value of it helped me grow. If I could be upfront about the things I did well and didn’t do as well, that would make people more comfortable also confronting their own shadows. Toward the end of the book, you open up about being a mother and some of the sacrifices you made throughout your career. How did you approach documenting your own formula for success as a parent? I sigh. I struggle. [laughs] I don’t think there’s a magic formula. That story was really hard to write and hard to live through. Being a parent, and a spouse, and having a full-time job, it’s all consuming. But then there’s a latter part of the story where [my oldest daughter] Pauline invites her friends to see me speak, and she says, “I’m really happy you worked.” I learned I made certain decisions and they were tough and they came with compromises, and I’ll always be sad about the times I missed. I regret [missing] them, but I don’t regret the choices I made. You have to learn to live with the sadness and the difficult times and assuming responsibility. They don’t mean everything is perfect, no. But I think the label of perfection makes us feel really guilty. We always think there’s something we’re supposed to be doing or living up to some expectation.